Are your CD's skipping or your favourite old games freezing up? 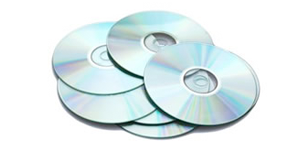 Chances are, over time your discs have accumulated tiny scratches on their surface, resulting in read errors. We offer disc resurfacing which gently and evenly buffs away scratches and restores your discs to working order! Not available on Blu-Rays. 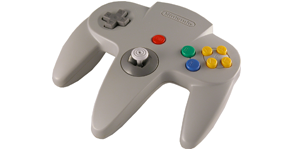 All nintendo 64 analog sticks eventually come loose after years of play. How do you know it's time for a new one? The thumb-stick may not "snap" back to the centre position anymore, and will likely flop from side to side when you move your controller. You may also experience less resistance or control when playing games. We replace your thumb-stick with a brand new one, and clean out any dust or dirt stuck inside the controller so you can enjoy your N64 for many more years to come! Over time, the cartridge reader (or pin connector) on the NES console can wear out and stop working altogether. This is usually due to a combination of bending (from putting the game cartridges in) and dust building up on the inside of the console. 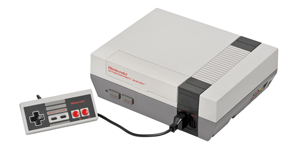 If your NES isn't cooperating, don't give up on it just yet! Bring it in to Hang & Play for a brand new pin-connector installation. WEBSITE © HANG & PLAY VIDEO GAMES 2018 // 4592 WEST SAANICH ROAD, VICTORIA B.C.